A smart key is an advanced version of an automobile key, one that allows for keyless entry into your vehicle. The car's onboard computer can detect when the key is near the vehicle and will allow entry into the vehicle without you having to unlock the doors manually. The car also detects the key while you are inside the automobile and models like the Toyota Prius are equipped with a push-button starting system. As long as the key is in the vehicle, you can just push a button to start the engine of your Prius. It doesn't need to be inserted into the ignition: It can be in your purse, your pocket, in the cupholder, or anywhere within range of the onboard computer. Another benefit is that your car won't let you lock a smart key in the vehicle. 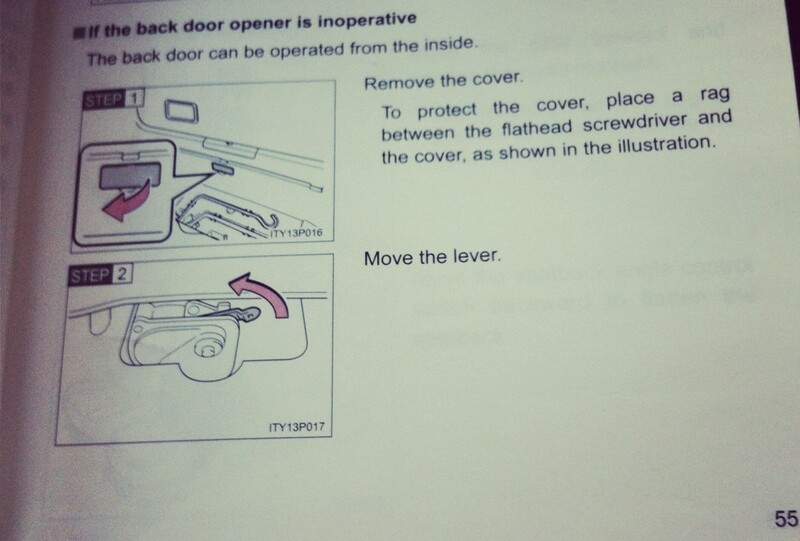 It knows the key is there and will prevent the doors from locking. Plus, the smart system automatically locks the doors once you get far enough away from the vehicle. 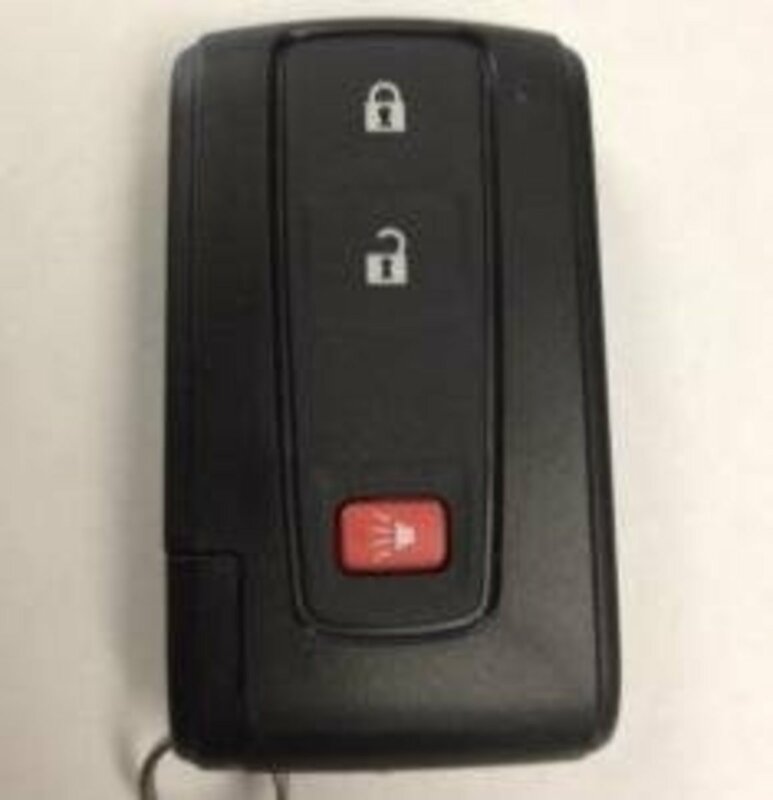 Remember: There is a manual key hidden inside the key fob. 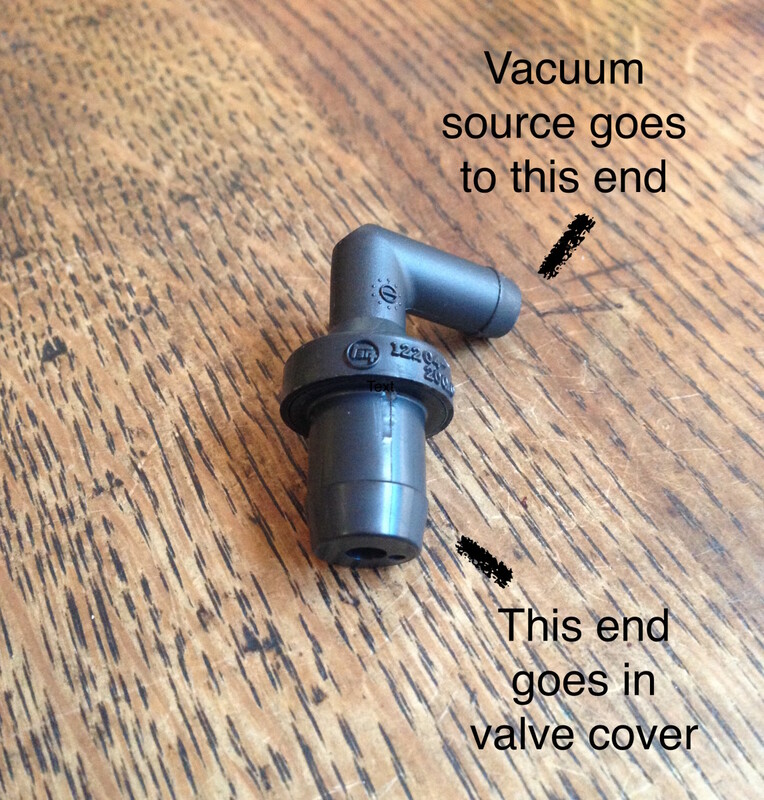 It is very important to know how your smart key works, especially in times of distress. Your salesperson should have taught you about it when you purchased your new Prius. People come in into the dealership all the time asking for help and are surprised to discover that there is a battery and/or a manual key tucked inside the fob. It is rather simple. The key ring is attached to the hidden manual key. To remove it, just slide the tab on the end of the fob and hold it while pulling on the key. It should slide out easily, although it may be a little stiff the first few times. This design allows you to get you into your car should the battery die. Once you are inside, you should be able to use the remaining slight bit of battery life to get the car started. 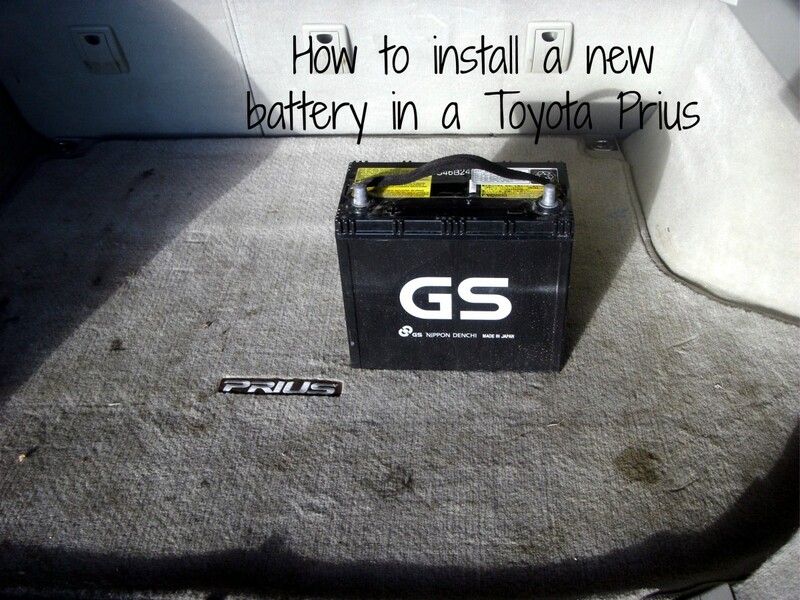 This will allow you to buy a new battery replacement right away. To start the ignition, just hold the fob up against the ignition button and push the start button. 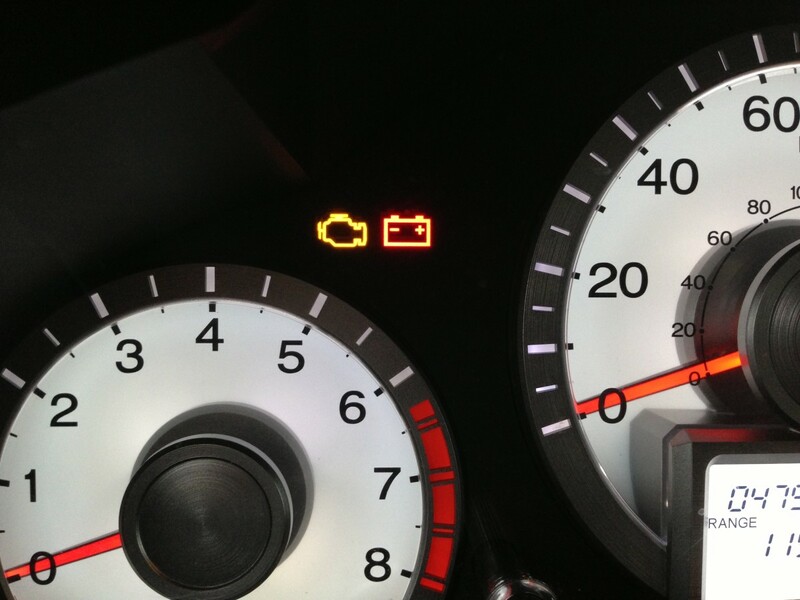 There should be just enough juice left in the battery to get your car started. You are locked out because the battery signal is too weak to reach through the vehicle to the onboard computer, but you should have enough signal for 1 or 2 more starts if you do as explained above. To prevent all of these issues, just pay attention to the onboard screen in your car. It tells you when your key's battery is getting low. Just replace the batteries when the warning light indicates that it is time and you shouldn't have to worry about being locked out. 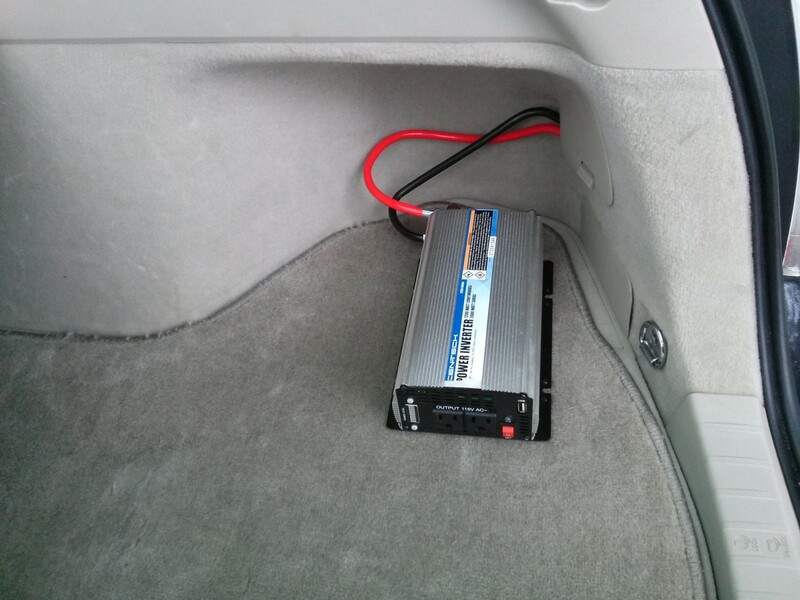 A smart driver might even keep extra batteries on hand in case of an emergency. What If My Smart Key's Battery Dies? Most smart keys, regardless of the make and model of the vehicle, have a small battery that is easily replaced. These batteries are commonly referred to as "watch batteries." Don't let the dealership make you think some fancy battery is needed or you can't replace it yourself. 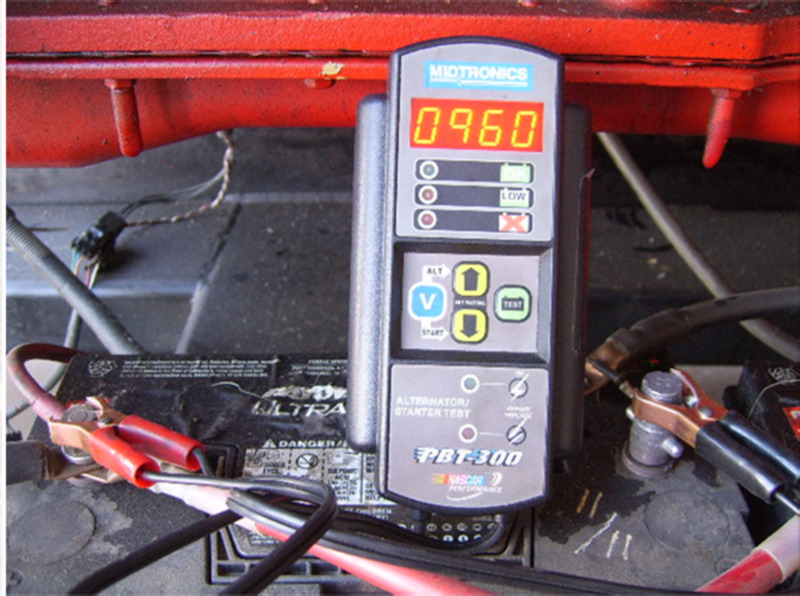 Changing the battery is actually pretty easy to do if you know how to open the fob. Here at the Toyota dealership, we charge $12.50 to install the battery for you. Yeah, $12.50 for a watch battery that costs us $1.49. You can easily find the same batteries at places like Walgreens, Walmart, Best Buy, any other major retailers. At the chain stores, the battery will only cost you around $3 to $4 each, and getting a multipack will save you even more cash. Store the extras in your glove compartment, and you won't be stranded again. Amazon.com is usually the cheapest, sometimes for as low as 39 cents, so cheap that even dealerships order them to sell at a mark-up to customers. Since they're constantly on and searching for a signal, their batteries tend to die at around the same time. So when you replace one, you might as well get a multi-pack and replace both your key's batteries together. Not knowing how to open the smart key is the number one reason that people choose to pay to have the batteries changed for them. Remove the spare manual key that is tucked inside your key fob. This is done by locating the sliding tab on the end of the fob. It's on the end that the keyring is attached to. By sliding the tab away from the ring and holding it, you can pull the spare out of the base. Once the key is out, you need to slide the same tab over and hold it, while sliding off the back of the casing. Once the back is off, remove the four tiny screws that cover the battery plate. I highly recommend using a magnetic screwdriver to do this. This helps prevent dropping and losing the screws and also makes it much easier to put the screws back into the base when you're done. Once the plate is off, the battery can be popped out with another small screwdriver or anything else small enough to dislodge it. Be careful not to damage any of the internal components, as these are rather expensive to replace. CR2032 is the battery size of most Prius smart keys, but be sure to check your fob before ordering. It could take a CR2016 or another size depending on the vehicle's production date. Grab a multi-pack and store them in your glove compartment to stay ahead of the game. At the dealership, we use magnetic precision screwdrivers, which I highly recommend because the internal screws are tiny and easily lost. How Long Should a Smart Key Battery Last? Think you can do it? Did you learn anything? Do You Think You Could Replace A Smart Key Battery Yourself? Yes - I already change my own batteries. Yes - I think I've learned how to now. No - I don't think I can do it myself. There are two types of key cuts. Some automotive brands use both types of cuts, and others use either the internal or the external cut. External. Most traditional keys have external cuts. Think of your house key. Likely, the cuts are made into the outer edges of the shank. Internal. But lately, more and more auto companies have been switching to internal cuts. The main difference is that the cuts are made on the inside, with the outer edges of the shank left smooth. 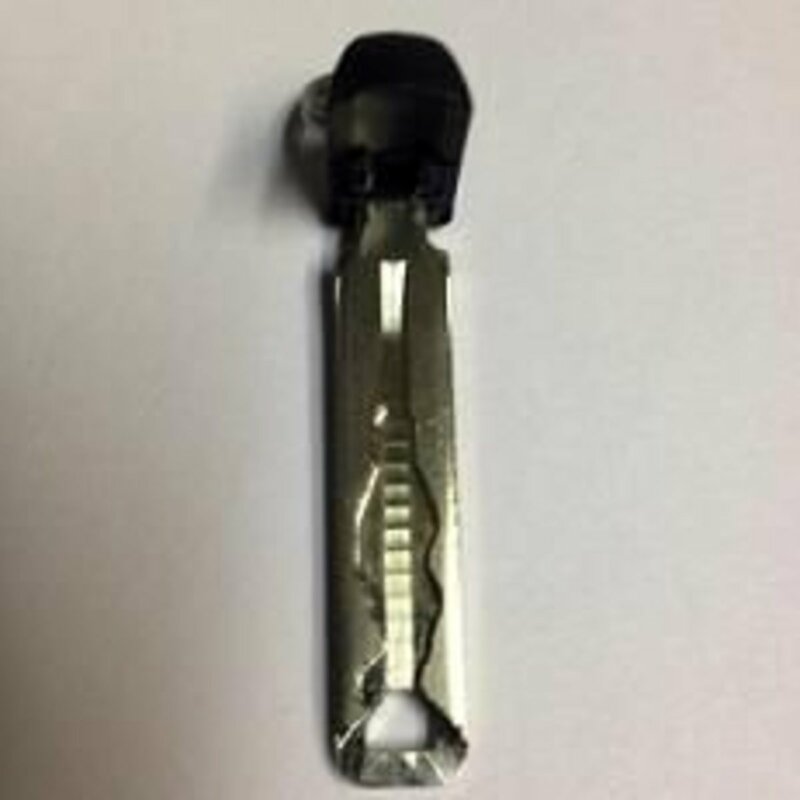 Lexus has been using these internal cut keys for a while and now Toyota is starting to use them on many of their newer models. The main benefit is security, but they are more expensive. If your vehicle requires an internal cut, you are looking at adding around $100 to the cost of replacing lost keys. The reason is that they require an expensive high-tech laser cutting tool. Most dealers choose not to make the investment for their own laser cutting machine. Therefore, they have to order from the manufacturer, which increases the time required to complete your order and also raises the price. Unfortunately, you don't have a choice on which cut your vehicle uses. That is determined by the auto manufacturer's make and model. For cars like Toyota Prius, it's very expensive to replace keys. Protect your investment with a nice set of finders, digital key rings that have a built-in finder and beeper. With smart keys costing upwards of $400-$500 each to replace, this small (under $40) investment is well worth the price. I see people every day who have to spend $300+ for a single lost key, and many of them inquire about a product like this. It won't help you once your keys are already lost, so don't wait. Smart keys are rather expensive to replace. Most customers are completely shocked when they find out that one replacement is going to cost them between $200-$400. The hardware is pricey itself, plus it will have to be programmed at a dealership. Not only does the keyless entry have to be programmed and set to match your vehicle, but many keys these days have an immobilizer chipset that also have to be programmed to match the onboard computer, which can only be done at the dealership. So you end up paying for the hardware as well as around an hour's worth of labor for the programming. Bring the vehicle. It must be present for the programming. Bring a working key; without one, there will be an extra 30 - 60 minutes of labor added onto your bill. The master technician has to contact the manufacturer for permission and to get a special override code. This can take an hour or longer on top of the hour of programming. With some models, you could be forced to replace the car's onboard computer, which can be very expensive. Make an appointment. You can't just walk into a dealership to have a key programmed. Having an appointment ahead of time is required at most dealerships. 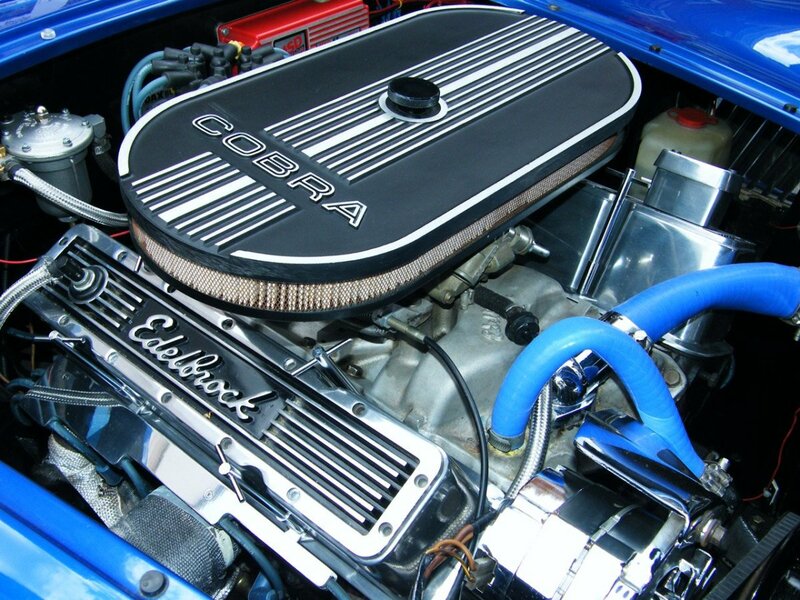 Some customers try to save money by buying online through eBay, Craigslist, or an online parts depot. This isn't always the best idea, though. You can see the dark grey sticker located inside this key. This is the information you'll need to replace it. Be very careful when trying to save money by buying the key fob online. While it may seem like a good idea to save yourself some extra cash by bringing your own replacement fob to get programmed, it often ends up being a wasted expense. Why? The majority of customers who bring in their own that they purchased online were sold the wrong product. It is a high-tech piece of equipment: You can't just buy one online and expect it to work. Even if you provide the correct year, make, and model, odds are the one you receive will not be programmable for your vehicle. If you do plan on buying a replacement online, here is one way to help ascertain if it will work: Before you lose your fob, be sure to make a note of its information. There will be a sticker on either its inside or outside. It may be visible after removing the sliding back, the sticker may be on the outside, or the information might be etched into the plastic material itself. Let me repeat: Take note of this information now before you lose your keys and can't access it. MDL #: Model Number, FCC: Federal Communication Commission Number, and IC: Manufacturer's Universal Code. In order for it to work, you must purchase one with these exact same numbers. If these numbers do not match, your replacement will not be programmable to your vehicle. This is very important. If you are trying to buy a used fob from someone, just have them locate the information and read it to you. If all numbers match, then the fob should work. If the numbers don't match, then don't waste your time or money! When comparing prices to the dealer's prices, always remember to figure in the cost of shipping. I'm amazed at how many customers forget to calculate the shipping charge in their final price comparison. Have any questions? Did you find these tips helpful? Great job explaining exactly how to do this. Thanks. @genazee1: Most likely the key fob is either damaged or defective and needs to be replaced. My smart key works great but the battery dies and needs replaced about once a month. Has done for 7-8 months. Dealership gives me new battery but has not fixed the problem. Any thoughts on cause? @donjohnsonis lm: I love of people like their Avalons. I have an Avalon with the keyless fob and I love it. @anonymous: I'm not 100% sure as that is more of a service question. I'd call a local toyota dealership and ask a service advisor. 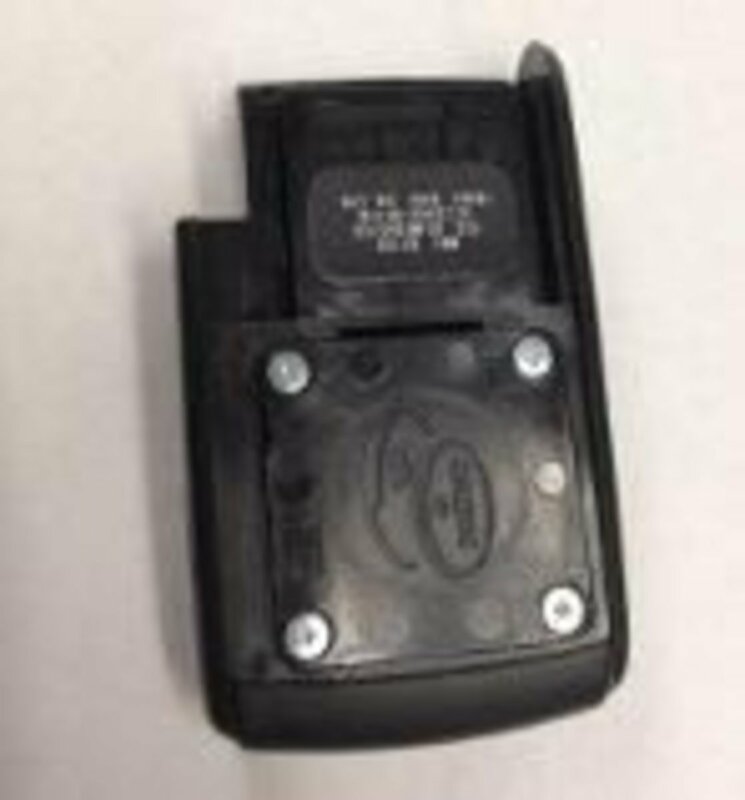 After replacing the battery in my Prius fob it does start the car, it opens the the door when I touch them but it won't open or lock the doors remotely. Do I have to reset the fob? I do not mean program it but reset it. This reminds me of a few things. I have a ford and the keypad is outside of my door. My code is inside my car so I need to get the code and put it inside my house. I have no idea how to change the battery in my bob. Oh well, I have automotive center down the street. @Cold0911: Actually, I have a 2013 PriusC one &amp; it has a standard key. @anonymous: It varies by model. 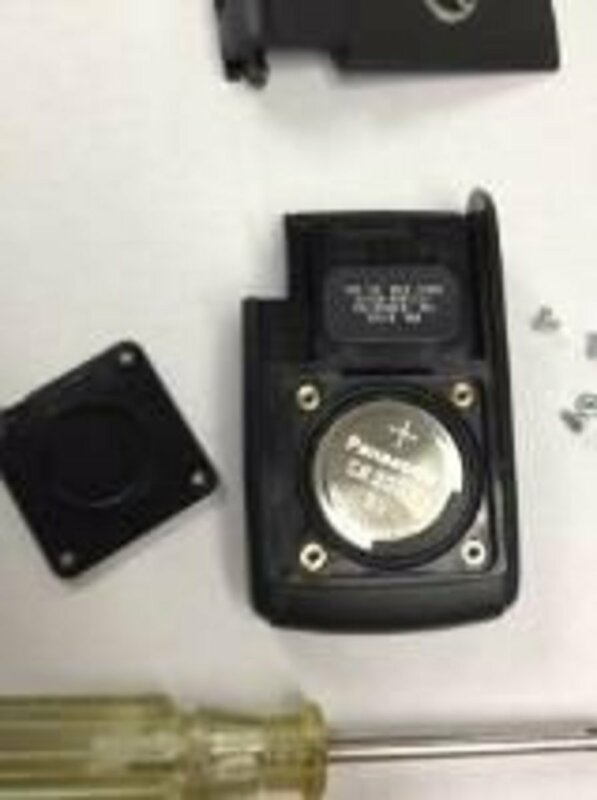 You new to remove the back cover and the CR size # will be on the battery cover plate. Or open it up and check the actual battery inside your fob. The CR# is printed on the batteries. what kind of battery does the 2011 prius smart key use, so i can buy some spares ? @anonymous: Not that I am aware of. One of our key fobs was lost in a wooded area. Is there any thing we can use to locate the fob electronically? @anonymous: Nope - all Prius models have smart keys as the only option. i replaced batteries in both key fobs and i am still locked out of security. what else can be wrong? Very helpful information. Thanks for your articles. @anonymous: Sorry, I have no idea where to order remote key fobs internationally. @anonymous: IT may have been on a sticker that was rubbed off or removed by the previous owner. i lost one of my key and when i try to find the MDL#, FCC#, &amp; IC# on my existing key i can't find it. even inside. I'm one of those people who would have come into the shop wondering what to do. I'll be figuring out my smart key now, thanks. @anonymous: Glad I could help. It's very frustrating to show up to the dealership with a smart key fob you purchased online that wont work for your programming. Thanks, great tips! Lately, the red key light is blinking in the Prius and I have to put in the key into the keyhole to start the car, however, opening the car still works with the key in the pocket. Also, the red light on the key is blinking when pressing the open or close button, which apparently would mean the battery is still OK.
@anonymous: That red light should light up when you press the buttons. 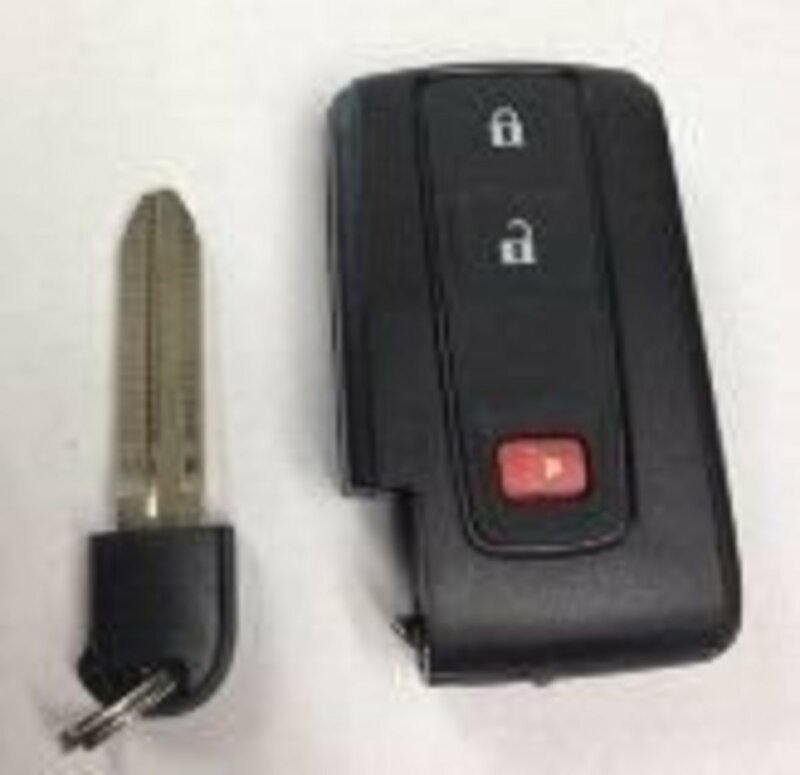 It shows that you have a good battery charge inside the key fob. What does the blinking red light indicator on the key fob indicate? Not the one on the dashboard, the one on the key fob. I totally agree with your all point. Ideas go stale. Thanks. Great idea for a lens, very practical stuff. I'm driving a Camry Hybrid. It's the smoothest, quietest, most amazing car that I've owned. 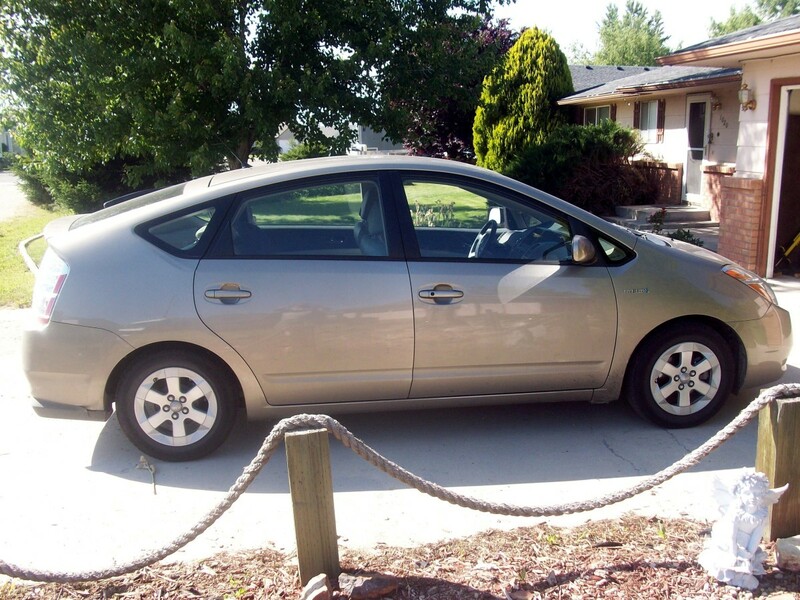 This is a very helpful article for Toyota Prius owners! Your writing style is great and you present all of the information well. Congrats on making it to the homepage of Squidoo! very useful lens on smartkeys. i think these days smart keys are everywhere so knowing how to replace them yourself is a big advantage. This is great - man oh man I hate losing keys! thanks for the tips - I have concerned about changing the batter in my key - not now! I love where technology is taking us. Great info. i like the lens. Great advice... It's very refreshing to see someone from the bidness tell folks when and how to save money (by replacing the battery) and when it is really necessary to have the dealership do it.